Featuring new wines and new information to get you up to speed on these amazing regions. A comprehensive look at one of the top wine regions of the world with an emphasis on the latest vintages, current trends, and how to get the best bang for your Barolo and Barbaresco buck, plus overarching information about Piemonte wines and travel. Featured information includes reviews of all current vintages newly on the market in 2019. They are two of the best known but least understood wine regions in the world. The single varietal used to make the wines, Nebbiolo, is a mystery to many. How can such a delicate looking wine have so much power? How do these wines of finesse and detail have such strength and age-worthiness? These questions and many more will be explored in the Barolo and Barbaresco Masterclass. 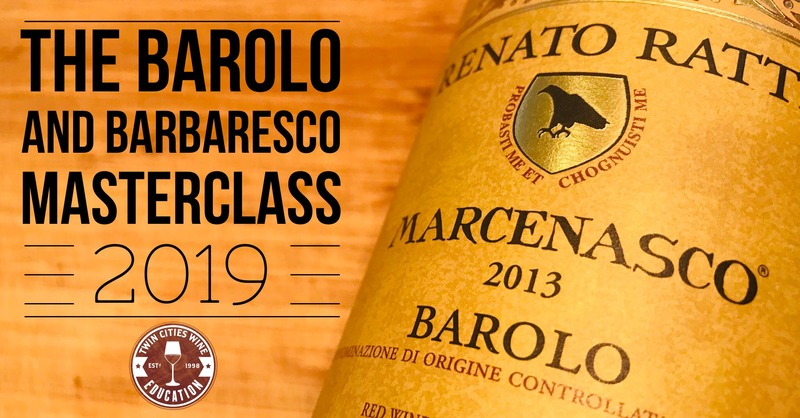 We will dive deep into the topography and terroir of Barolo and Barbaresco DOCG, covering the five key towns of Barolo (Barolo, La Morra, Castiglione Falletto, Serralunga d’Alba, and Monforte d’Alba), the main subsections of Barbaresco, and the surrounding villages. To help understand the ‘velvet fist in an iron glove’ these wines are, we will taste a wide range of wines including some aged gems purchased specifically for this event. This is bound to be one of the top selections of wines you will experience in 2019. Additionally, we will, of course, discuss the deep history of the area, including their connection to Burgundy, France. The region of Piemonte is a gastronomic paradise for lovers of Italian foods, and we will cover the traditional dishes of the region. Your class packet will include great recipes that will bring Piemonte home for you. I hope you can join us for this much-anticipated class. Seating is extremely limited.